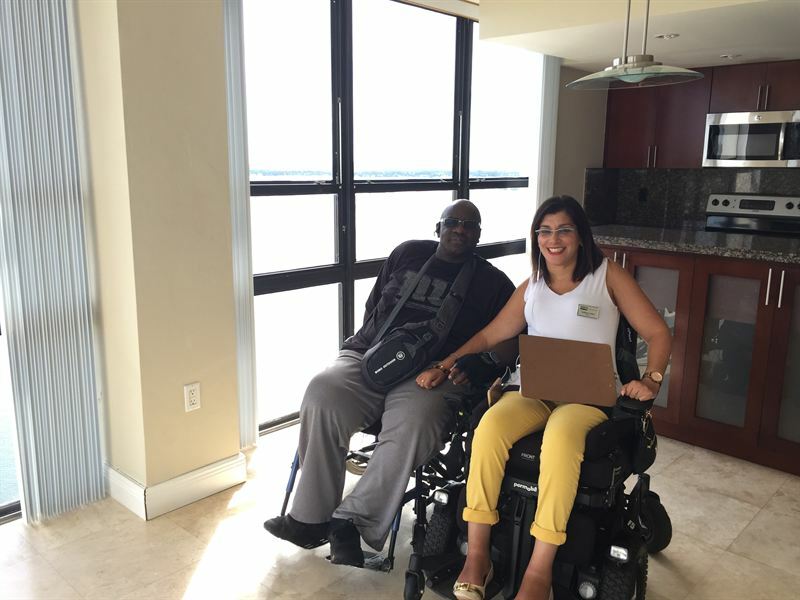 MIAMI, FL (January 30, 2017) – Sabrina Cohen, an advocate for accessible living and a licensed real estate sales associate, has just closed her first home sale. Living with a disability herself, Cohen understands firsthand the challenges in finding accessible living. Cohen is an affiliated sales associate with Coldwell Banker Residential Real Estate’s Miami Beach office. Her first sale, a condo located in Miami, just closed on January 10. Her client, Anson James, requested wheelchair-accessible accommodations and Cohen identified the property at 600 NE 36th Street to fit James’ needs. If a property does not meet her client’s accessibility requirements, Cohen will work to create in-home modifications, tailored specifically for her client. In a home, Cohen also says bathrooms typically need the most modifications, where open spaces need to be created or roll-in showers should be installed. She identifies whether the modifications are possible in the space and works with contractors to make the changes. Prior to Cohen’s career in real estate, she founded the Sabrina Cohen Foundation, a nonprofit organization dedicated to providing adaptive fitness and recreational programs for individuals living with disabilities. She is also active in community advocacy, where she works to create accessible adaptations throughout the city of Miami Beach.